Nothing speaks to the arresting unity of tradition and taste quite like tequila and its cousin mezcal. They are revered for a rich, nationalistic history as well as their broad variety of expressions. Tequila and mezcal carry with them a reputation of both credibility and versatility. Whether sipped solo or mixed into a punchy cocktail, both agave-based liquors bring a lot to the table. It could be blanco’s smooth subtlety, reposado’s rich, aged depth, or mezcal’s inspiration of memories from a moonlight night around a desert campfire. And to think, neither of these magnificent, vibrant alcohols would exist were it not for their common ancestor, agave. 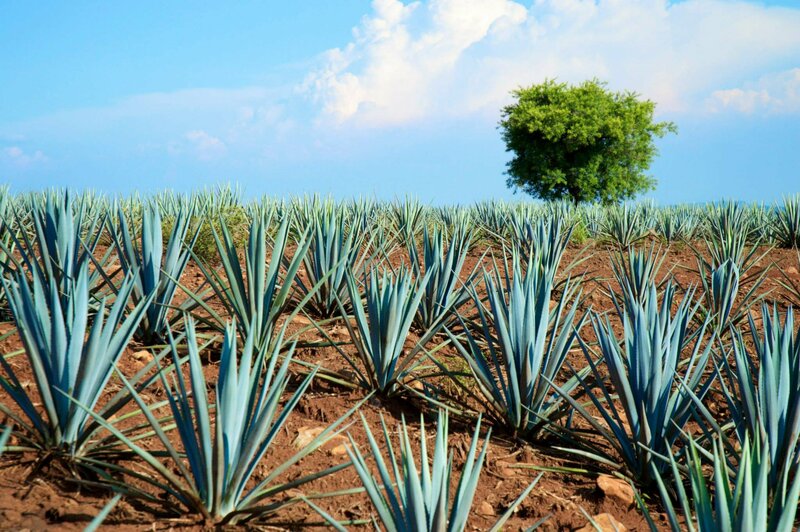 Agave’s impressive legacy stems back to its use in creating what is now known as tequila. Receiving its name from the town in the Mexican state of Jalisco, where the original blue agave used in its crafting still grows to this day. Blue agave – or agave tequilana as it is officially known – is native to the sandy soils of Mexico and is pollinated by bats. The heart of the succulent – or the piña – is allowed to mature for 8 to 14 years. After it has matured, it is harvested and distilled down to create the delicious sweetfire that is tequila. There’s more to tequila than you might assume – it’s long been heralded as an appetite stimulant as well as a digestive aid. There has been ongoing research supporting that tequila, in moderate amounts, may also help in lowering cholesterol! Who’d have thought all of this could come from one blue agave plant? While blue agave in particular is the sole vital ingredient in tequila, it is only one of many agaves used in crafting mezcal. Mezcal being tequila’s smokier, spicier fellow Mexican beverage. Mezcal receives its name from the combined Nahuatl words mexcalli, metl, and ixcalli roughly translating to “oven-cooked agave”. It is produced predominantly in Mexico’s Oxaca region. What sets mezcal apart from tequila is actually quite simple. Tequila is made solely from the blue agave and is produced almost entirely in the Mexican state of Jalisco. Whereas mezcal is made of up to 28 different types of agave and is predominantly produced in the state of Oaxaca. There is one key difference in preparation styles which is a major contributor to mezcal’s name. 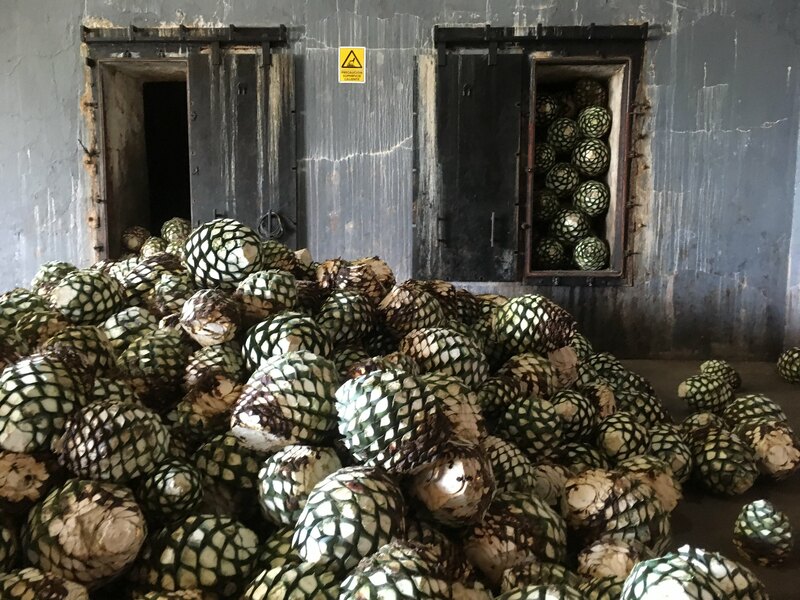 According to tradition, the blue agave piñas used in preparing tequila are baked in an above-ground clay oven. The various Agave piñas used in producing mezcal are baked in in-ground ovens over a lengthy time not unlike Polynesian cooking styles. The resulting flavor distinction – tequila: piquant, smooth, rich vs. mezcal: smoky, slick, fiery – is directly linked back to this key part of the preparation process. The traditions of agave harvesting. relating to tequila and mezcal preparation are indigenous to Mexico. They contribute to the country’s broad, dynamic culture and history. Next time you sip a margarita or mezcal on the rocks, take a moment to appreciate the depth of these liquors. Admire how much farther it goes than an excellent mouth feel and wonderful addition to any celebration. If you’d like to learn more then check out our bartender training page, or head along to the all-new BAR Management Conference. BAR 17, the beverage alcohol industry’s premier annual gathering, May 21-22, 2017, in Chicago, IL. The BAR Management Conference offers bar professionals access to an array of lectures and workshops intended to explore bar trends, pain points and best practices towards profitability. For more information, visit Restaurant.org/BAR.